The summer is a much loved season by all women no matter their personal style. This happens because now is the time when the weather allows to wear the most special pieces of outfit. The summer beach dresses are first of all very comfortable. Also, they are very versatile, being able to be worn on many various occasions, not only on the beach. Important is to feel good wearing them and to accessorize them properly. The sensuality is an important quality that any woman likes to highlight it. A beach dress will surely highlight your silhouette so much worked out at the gym (or if you are lucky due to the genetics). 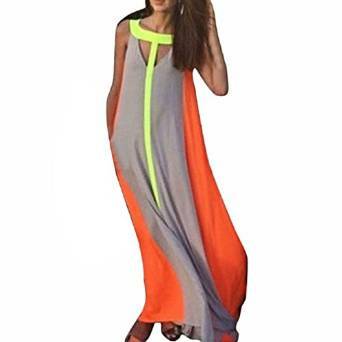 Also, such a dress can highlight your tan which can be important too. 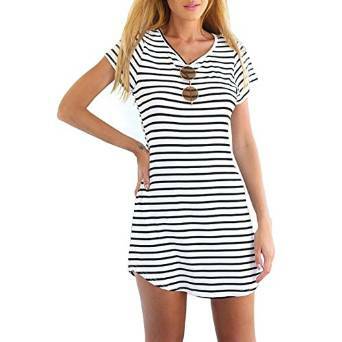 There are many models of beach dresses, in different colors and various patterns, perfect for any preference and pocket.